Are you planning on going on any picnics this summer? We are doing a "staycation" this year and are planning lots of little day trips. On my list of things to do is to have a picnic at one of the local parks or at the beach. We live on the coast of Virginia so we have access to lots of beaches in the area and lots of historical places. There really is beauty all around us that we tend to take for granite. We are hoping this summer changes all of that. 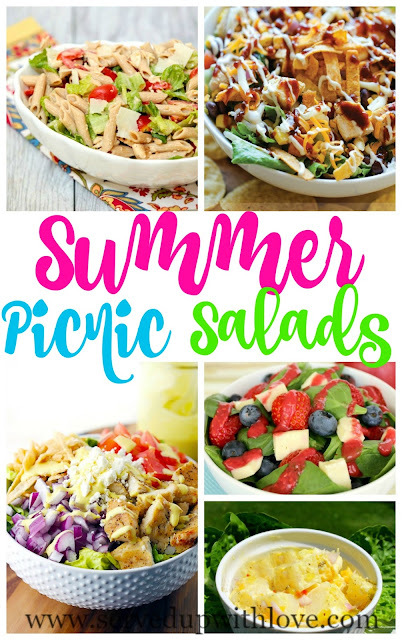 These salads are all winners in my book and will be perfect to munch on while we explore.